Mango float is a delicious frozen mango dessert. It can be made easily with few ingredients and it's finger licking good. 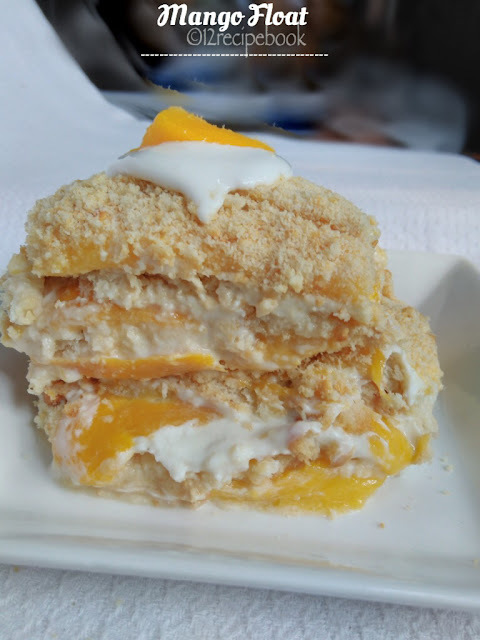 It is a version of biscuit pudding but with the fruitiness of mangoes. Peel the skin of mangoes and chop them in to thin slices. Mix thick cream with condensed milk in a bowl. In a square pudding pan. arrange the biscuits as a layer. Top it with slices of mango. Then top it with cream layer and level it. 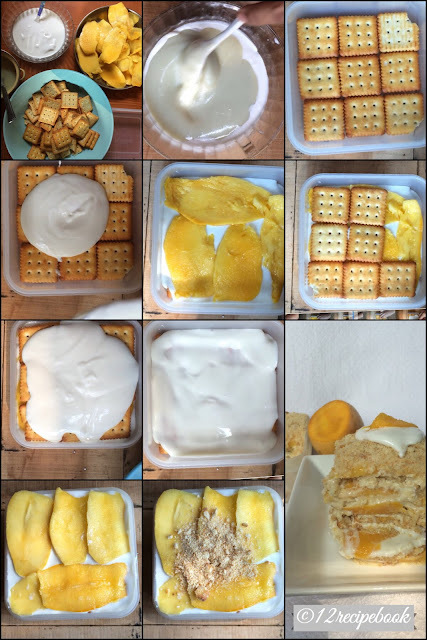 Repeat the next layer with biscuits followed by mango slices and cream. Once again top it with biscuits. mango slices and cream layer. Last spread some powdered biscuits on top. Freeze the prepared mango pudding for an hour. Then refrigerate it for another an hour. Cut then in to slices and enjoy!!! Use a suitable length square pan for making this; or increase or decrease the ingredients as per your tray. I used to add mango slices as third layer and hence i got irregular level. So add mangoes as second layer and then the cream layer as mentioned in the preparation. If your are not serving the pudding after two hours; then freeze it for more hours and chill it just for an hour before serving. So that you can cut them in to cute slices.